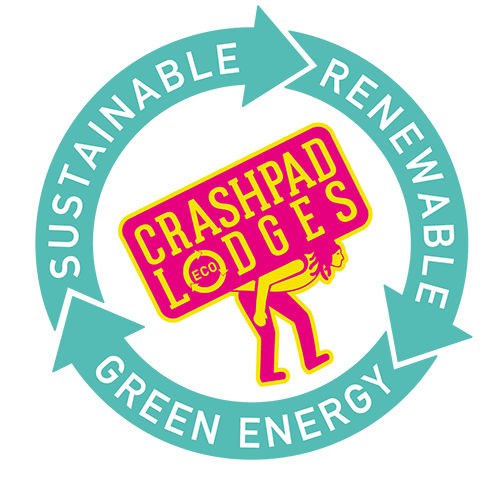 Last year at Crashpad Lodges we’ve had some great successes and met new and interesting lovely guests. We invested in 2 new low energy backup generators, survived the Beast from the East with only 2 tiles missing and purchased an industrial floor cleaner to ensure our slate floors stay clean and shiny much to my delight. We’ve had some mishaps, burst pipes and broken bunkbeds to name a few but what we have now learnt is how to avoid burst pipes. Don’t turn off the heating or at least if we do drain the water from the pipes first. Having broken bunkbeds has given us the opportunity to reflect on the lodges sleeping arrangements and after feedback from our past guests we are going to look to remove the number of bunkbeds and invest in new single and double beds. This coming year we have a number of new key focuses. One is to tell the story of this beautiful old welsh farm house Yr Helfa and the surrounding farmland Yr Helfa Fawr and how we have invested in new technology to ensure that Yr Helfa is preserved for many years to come. Also, I aim to start learning Welsh. This is something I have wanted to do since moving to North wales 4 years ago and have never got around to actually sitting down and studying. I am going to start to do this by learning the basics first through the website saysomethingin.com. Once I have the basics I will move on to an evening course to practise with others and increase my knowledge. I admit that languages are not a strong point of mine and I know it won’t come easy but practice makes perfect as they say! With life’s daily demands I am yet to figure out how to fit in all. Writing this blog is a new project that I am thoroughly enjoying and I have developed a practice to help ensure that I set aside time to write. Monday to Thursday I jot down ideas of what I want to write about and jot down keywords. Thursday night I set aside 1 hour to write into these keywords as quick as possible. Saturday, I spend an hour refining my writing and researching images. A little bit more research online and I found that typing #bulletjournal on Instagram brings up some really cool and brilliant ways of how to visually organise your time. I think I am going to get on well with The Bullet Method! So, it really doesn’t matter what your New Year’s resolution is, whether to learn a foreign language, diversify your business, get fit, the most difficult part is consistency and taking the time to do it. Whatever it is, keep it up. Nadolig Llawen.